Need a Personal Injuries Lawyer? Please fill in your Details if you’d like to Discuss the Personal Injury Claim Process. If you have suffered from a Personal injury or accident and it just doesn’t feel right, we can help you make a claim. A No Win No Fee term is a Conditional Fee Agreement between you and your solicitor that keeps you from paying the upfront legal fees when the solicitor is handling your compensation claim. In short, the lawyer will take on your case without asking for payment only to receive pay if you win any compensation. You will not pay the solicitor anything if you do not win. We offer our services on a No Win No Fee agreement on medical negligence, accident, and personal injury cases. It is as simple as that; you do not pay if you do not win the case. The introduction of this arrangement was geared towards giving individuals who lack the finances to afford legal representation the opportunity to get the justice they need when seeking personal injury compensation. Primarily, the No Win No Fee arrangements were on the premise that the defending party would shoulder all the legal costs associated with taking a personal injury case. As such, the claimants were not to pay any fees and get to keep the awarded compensation in full. Legislation was introduced after many solicitors said that they were making losses, unable to recover their fees from the defending parties fully. Fortunately, with the Goldman Knightley team of medical negligence solicitors and specialist personal injury lawyers, things remain unchanged. We still offer No Win No Fee Personal Injury Claims, which means you do not have to make any payments if the claim is unsuccessful. You, however, will have to cater to the legal representation costs if you win your claim. The good thing is that Goldman Knightley can recover the legal costs incurred from the other side so you do not have to pay us a penny. Are All Legal Cases Covered By The No Win No Fee Arrangement? The arrangement is not applicable to all personal injury cases. However, some civil cases can be handled under this conditional fee agreement except for cases that involve a criminal charge. 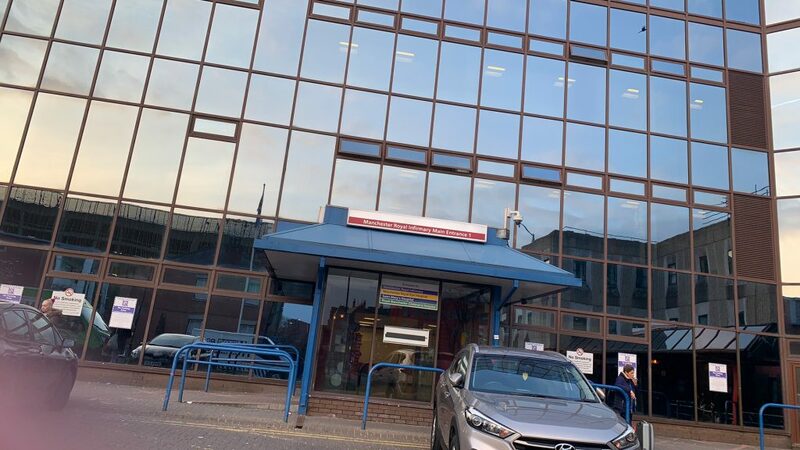 Personal injury, accident, clinical and medical negligence cases in Wales and England fall under the civil cases thus can be handled on a No Win No Fee basis. Scotland and Northern Ireland have different stipulations for medical negligence and personal injury cases where the No Win No Fee claim arrangement also takes into consideration employment issues. When you get injured because of someone’s negligence, it is prudent to seek compensation, and the whole personal injury claims process can be a little bit confusing. However, this procedure is a systematic one as it follows a predictable path. When involved in an accident, you need to know these steps so that you can understand what to do and at what stage. For you to get through the personal injury claims process, you need to have a Lawyer. If you need the services of one for the first time, the chances are high that you might not have a personal injury lawyer. You will come across several of them, and you need to do your research well and find the best one for you. It is advisable to take your time and find the right one who you can retain and reach out to whenever you need their services rather than being forced to look for one every time you get involved in an accident. When searching for an injury lawyer for you, keep in mind that you do not have an unlimited time to do so. Different areas have laws that put restrictions on the amount of time you can take before filing a complaint. Try and understand the time you have for your type of case so that you do not file for a compensation claim when the period has already expired. According to the court rules, your lawyer needs to follow a set of procedures known as the pre-action protocols. This involves sending a letter to the person who the claim is against. This letter is known as the letter of claim, and it contains the details of what happened and the injuries sustained. The defendant has up to 21 days to respond to the letter up to three months to investigate. Your lawyer will have to provide evidence proving the whole claim and demonstrate that the defendant was at fault and that their activities led to your injuries. Once this evidence has been accepted, the court might need medical evidence to prove the extent of your injuries, and this involves collecting your hospital records. Not all personal injury cases have to go to court, and your lawyer will try to get a suitable settlement with the defendant is possible. This involves negotiations, and if they are successful, they will agree to a certain amount. If the talks are unsuccessful, the matter will have to be settled through court proceedings, and the jury will decide the settlement amount based on the case presented by your injury lawyer. An individual may be able to file a personal injury claim if they’ve experienced an injury at the hands of someone else, such as a distracted driver or a negligent homeowner who didn’t shovel their sidewalk during a snowstorm. The purpose of filing the injury claim is to seek compensation for the pain that the injured individual went through. It’s possible to file a claim if you were recently injured and experienced emotional pain & financial loss due to your inability to work because of the injuries. Most people who end up with these injuries weren’t expecting something so serious to happen to them in the first place, but that is why we’re available to help those who’ve been in different accidents. We’ll help you get through some of the most essential steps of the personal injury process. If you think you’ve got a case, give us a call and our injury lawyers will talk things over with you. Your compensation claim usually can be settled within a couple of weeks if you were in a collision and suffered minor injuries like whiplash. Contact us as soon as possible and speak with one of our friendly and helpful personal injury lawyers to discuss your situation. That way we can ensure that you receive the personal injury compensation that you deserve and need. We completely understand that major injuries can take much longer to get resolved and that the consequences can be more serious. Our expert injury lawyers will be there for you each step along the way. They will work to ensure that you receive the compensation that you deserve and work to secure interim payments as well to cover your rehabilitation costs while your personal injury claim is still being processed. If the driver of the other vehicle failed to stop and provide you with their details, it might still be possible for you to make a claim to receive compensation through using the Motor Insurers Bureau’s Untraced Drivers Agreement. Contact one of our personal injury agents so that you can discuss your individual circumstances to find out what you may be entitled to. Have you been injured in an accident and it does not feel right, if so then you will want to right that wrong. If you are not sure if you can make a claim, then you will want to get in touch with us on 0808 164 9153 to see if you can file a claim. We are going to listen and provide quite a bit advice, which will make it easier for you to know if you can make a claim, usually we can tell you this in the first call. You will not be rushed to decide right away with us either, but we will let you know about any statutes you could have problems with. If you do not want to check with us by talking to us, you can check with the online tools that we offer to see if you are going to have a claim, but also get some questions answered. The accident was within the past three years. You are not the one that was at fault. An injury of some type happened. Usually you will rest easier if you know of other people who have filed the same type of claim for the accident like you had. Here are some of the examples of the claims that we have experience in helping people with. Even if your accident is not listed, the chances are good that you can still have some help from us. You may think that this is an accident that has two or even more drivers. However, those are only a small portion of the accidents as you will find a bicycle can be a road accident, getting hit while walking on the road, or even being a passenger on the public transport. These are often very shocking accidents. Since that is the case, we are going to help you out. While you may not think about it, if you fall or trip in a public place it is not always your own fault. In fact, it is often the fault of the business or public area that has the responsibility of making sure you are safe. These accidents can be caused by walking on an unlabeled wet floor, cracked floors, paving that is uneven, and even having something in the middle of the path. The problem is, it is not always clear who was at fault. Since that is the case, our experience will come in handy and help you understand who is responsible for the fall. These accidents are often stressful and can cause some serious injuries at times. No matter what the injury, you should know that you should be able to trust your employer with a safe environment for you to work in. No matter what kind of job you have it is the job of the employer to keep you safe. If they have failed you, then you are have been put at risk of injury. Since you have been hurt at work and it does not feel right we will help you make it right. You just need to contact us right away to great free advice at 0808 164 9153. What Will Make The Compensation Claim A Success? Since each case is different you will find that they do not have any rules in place to guarantee a successful claim. The best way is to make sure you get in touch with us. When you talk to use our advisors, who are trained, will talk to you about your claim and help guide you through the steps that you will need to take if you want to pursue the claim. Once we have your permission we will put a solicitor to your case needs. The solicitor will be the one that will prove that someone else caused the accident. This will often mean providing proof that the other party did not provide the proper care for you. Failure to inspect the equipment properly that is used on the job.The pathways were not kept clear of any of the obstacles that you were trying to avoid.They did not keep the regulations in mind and ignored the laws.They did not pay attention when you were driving. We will take and look at each case individually. That is because we want to make sure you are able to get the full compensation that you need to get. Since each case is different we cannot give you an idea on how much you will get before we start doing research. You could try our calculator, though, which could give you a good idea on how much you may get. What else you will want to consider is the pain and suffering you experience and the changes you have had to make in your life. That is something that will be considered when you are factoring in the compensation for the accident. The pain that you have from the personal injury. The impact the injury has had on your life. The amount of earnings you have had to lose from taking time off work. The cost of the medical treatment you have had to go under. Any care that you have had to get, even if it was family member. Why Should You Make An Accident Claim? You may have had to take time off of work, and for a serious injury may have had to take significant time off work which leads to money worries. You should not feel rushed to get back to work before you are healed. That is why the solicitor will attempt to factor in the time that you had to take off of work. You may even find that you could use the compensation to pay for all the medical bills you have had and alterations you made to your home. Almost all of the claims made with us is a no win no fee basis. That means you do not have any risk when making a claim. You have already been through enough with the accident so worrying about paying us if you do not win should not be another worry. Anyone can sustain a serious injury. It can be anything from critical brain damage to spinal injuries, third degree burns, broken bones and many other catastrophic injuries. Personal injury claims are made persons who have sustained these types of injuries as a result of the recklessness and/or negligence of other persons or parties. Due to the seriousness of these claims, the personal injury claims payouts involved are quite high. This is so in order to cater for all the needs of the affected persons. Even though monetary compensation may not take all the pain and suffering away, it does help a lot in easing the burden caused by the injuries sustained. With a good payout, you can be able to cover all your medical expenses and after-care expenses as well. You will also be compensated for emotional trauma and loss of work. As you can tell, there are plenty of factors that are considered when the payout amount for your claim is being determined in a court of law. The costs of serious personal injury claims are usually quite high and there is absolutely no reason why the personal injury claims payouts should not be high as well. On the other hand, because the payouts awarded for personal injury claims are quite high, the claims are usually fiercely contested in court. When compared to common injury cases, serious personal injury cases can attract the best legal defenses money can buy. The best example is when a company or organizations is facing an accusation of negligence which led to a person sustaining serious injury. The company in this cases will do whatever is in its power to refute the claim and deny the accusation. Unfortunately because of this, some people who have sustained catastrophic injuries in their day-to-day life may go without getting the compensation or payout they need and deserve. However, all hope is not lost. There is still some light at the end of the tunnel for persons who have suffered injuries which they believe were not of their doing. The best course of action for such persons is to investigate the case thoroughly and then result to make a claim if they find that there was some wrongdoing somewhere. Due to the serious nature of most of these claims, it is important to seek and make use of proper legal representation throughout your case. A good personal injury lawyer can indeed help you to get the much needed compensation you deserve. You should report and notify the relevant authorities or persons about the accident and injuries sustained. For instance, report a road accident to the police or an injury suffered at the workplace to the employer. For the road accident, you should ensure that you get a TIN (Traffic Incident Number) and a signed document from your employer for the workplace injury. You should give a detail report of your view of the events and have it done in writing. Also, ensure that you take statements from any witnesses who saw the accident or someone who can account for the level of impact the injuries incurred have had on your life. All this information is vital to putting forth a strong compensation case. Seek immediate medical treatments and ensure that you get all the medical and diagnostic reports and also take the time to consult with your doctor to know more about your treatment. The objective is to have information and documents that you will need to present as evidence that supports your claim. You should be aware of your legal rights and entitlements when making a personal injury claim, and this necessitates the need for enlisting the guidance and advice of legal experts who handle personal injury compensation cases. Go over the what happened with the lawyer so that you can get a professional opinion on whether or not you have a valid claim. Keep in mind that the compensation is required to be filed within three years of the accident. If the attorney finds there is merit to the case and the chances of winning the claim are promising, then he or she can advise you to lodge a claim. The lawyer writes a letter of compensation to the other side stating the details of the accident, the nature of your injuries, and the reason for you are seeking legal recompense in the form of personal injury compensation. Once liability is admitted, your attorney will determine a suitable sum of compensation and present the other side with the figure. The others may opt to accept or reject it and try to negotiate a different settlement. If the claim amount is agreed upon, then the cases will be settled quickly. However, if the others deny liability or if a settlement is not reached, then taking the case to court is the next step. The court will hear from both sides and decide if compensation should be awarded or not. If you were injured while you were working, you may still get to file a claim. Although it depends on the situation, you may have been injured due to a lack of proper safety measures provided to you or because you had to work with equipment that wasn’t in proper working condition. We understand that it can be a very daunting prospect to claim for an accident that occurred at work, since you might feel anxious about potentially causing conflict at your workplace. When you are making a personal injury claim for an accident that occurred at work, rest assured that you are not directly confronting your employer. Your are making a claim against the liability insurance of your employer, and when you assert your right to receive compensation, you will not be negatively impacting your employer or your co-workers. Whether you were a private contractor, part-time employee, or full-time employee at the time that your accident occurred, you can claim compensation for the injuries that you sustained within the workplace. In addition to accidents at work, we are also able to seek compensation for certain industrial diseases, including skin disease or respiratory issues. Get in touch with one of our expert personal injury advisors to find out how you get can a claim started, to get the justice and compensation that you deserve. TheYEC expert team specialises in No Win No Fee claims for accidents at work. They can collect all of the necessary information for making your case including making an expert review of the cause of your injury, proof of injury, witness statements, and managing all of the details for you from start to finish. When a medical professional is trusted to provide quality care and doesn’t, it’s often known as medical negligence. Unfortunately, there are times when a medical professional makes mistakes that could make a medical problem even worse. This type of negligence typically occurs when the medical professional makes the wrong diagnosis or doesn’t provide the right type of treatment to improve the patient’s condition. Medical negligence can have life-changing consequences that can make seeking compensation seem like a daunting undertaking. However, it is within your legal rights to seek recompenses for the health implication of such negligence. TheYEC medical negligence specialist solicitors can help in this regard on a No Win No Fee agreement so that they take away the stresses and risk of claiming compensation. They are there to ease the process for you and help you achieve the best possible outcome. From cosmetic surgery mishaps to misdiagnosis and wrong prescription, our medical negligence experts will gather the necessary information that will be used to formulate a strong case. Part of such efforts includes gathering your medical information and supportive evidence from unbiased and impartial specialists to help prove the failure of the accused party to provide you with the expected reasonable health care. All the while, we will be keen on ensuring you are still getting the necessary medical treatments and are on the journey to full recovery. Talk to use today. Contact any of our medical negligence solicitors if you have any inquiries about our No Win No Fee claim and wish to know how to start. We can help clients who may be dealing with asbestos and mesothelioma claims. Anyone who gets diagnosed with a disease that developed due to asbestos exposure may be able to make a personal injury claim to receive compensation. If you’ve been injured due to a road accident, you need to speak with our expert solicitors immediately. Sometimes the insurance companies work on trying to settle these rtc claims a bit too quickly, causing you to lose out on some of the car accident compensation you deserve after all you’ve gone through. 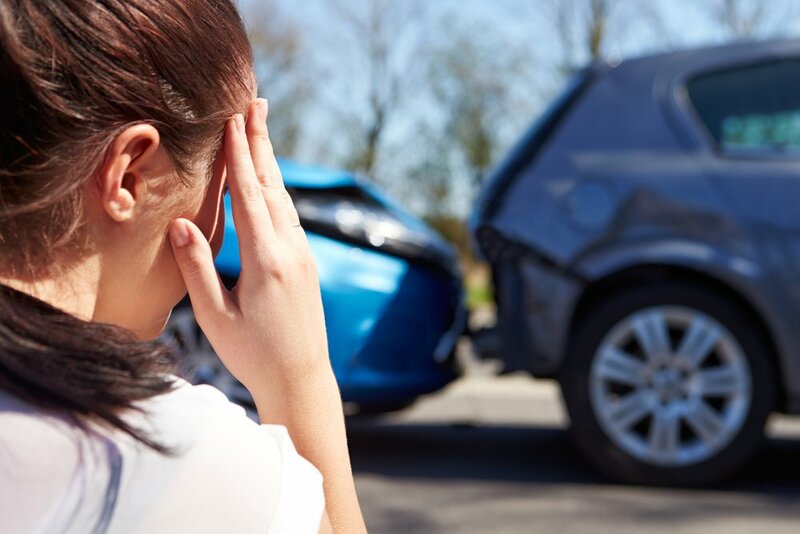 If you have been involved in a road traffic accident where you were not at fault, then we completely understand how upsetting the situation might be for you, and we can help you with your No Win No Fee personal injury claim to start putting things right. The amount of time it will take to make your RTA claim will vary depending on what kind of road accident you were in and how severe your personal injuries are. When traveling on holiday, some people end up suffering from illnesses or injuries abroad. Even if you sustained a personal injury while you were on vacation, it’s still possible for you to get the compensation you need. The only way to know if you’ve got a personal injury claim or not is to get in touch with us to speak about the situation. If an industrial injury is majorly severe, the injured individual could miss out on working and may need to receive professional medical care for the rest of his or her life. These types of situations are known for being quite traumatic because they can change the injured person’s life in a matter of minutes. We’ll help you seek compensation if you’re concerned about being sold some sort of investment that doesn’t sit right with you and may have caused you to lose out on funds. We use our knowledge to provide advice to clients. We want to help our clients receive compensation and are currently providing services in several areas throughout the UK, such as Scotland, England, and Wales. Don’t worry about the risks of filing a claim. We provide no-fee agreements to our clients because we’re that certain we can help them out, and we don’t want to put even more of a financial strain on them when they’re in need of help. We have a team of expert solicitors who are ready to work on a No Win No Fee basis, which means that you don’t have to pay if we don’t win your case. Once you make a contract, we will work to recover the maximum compensation possible. Whether you want to have a free conversation with a professional solicitor or you are ready to make a claim, our trained advisors are ready to give you all the information you need. Fill in our quick contact form to take the first step towards getting what you deserve, and we’ll call you back at the time that suits you most. Most people have a favourite joke about lawyers, but the profession is not actually made up of conniving ambulance chasers or fat cats. Lawyers actually perform a very valuable role as the law is part of every aspect of our lives. Understanding more about lawyers will help you understand how their role in the world can affect everything from the age at which you can get a driving license to the speed that you can drive at. The first thing to know about the profession is that it has traditionally been split into 2 different branches of barristers and solicitors. However, the legal landscape has become more complicated over the years with chartered legal executives, apprentices and paralegals. This is a trend which seems set to continue in the years to come. However, at this time, you should know about the 2 traditional roles that these professionals can find themselves in. Solicitors will generally provide advice and help on all matters of the law. They will be your first point of contact when seeking any form of legal advice or representation. Most solicitors will work in a solicitor-owned law firm, but there are some who work for the local government or the central government. There are also solicitors in the law department of businesses and in alternative business structures which is a business that provides law services, but is controlled and funded by another company. The process involved in obtaining compensation when you are injured is never straightforward and is usually difficult when you do not have experienced legal representation. However, if your interested in making your own personal injury claim, and you do not want the assistance of a Personal Injury Lawyer, we have outlined the processes below along with the issues you are more than likely to encounter. It is important to know that when you initiate legal action either against an individual or a company, and the claim is unsuccessful, you may be liable to pay the legal costs for the other party regardless of their legal representation. Are you able to represent yourself in personal injury claim? Yes, you can, and every person has the rights to pursue justice. If your not able to find legal representation that is suitable for the personal injury claim, you do have the choice to pursue this matter personally. As you may be aware, you cannot just arrive at a court in order to argue the case before a judge. There are a number of Pre-Action Protocols that need to be followed before the case will reach a court of law. The protocols are designed to implement structure to these processes and allows both parties to come to an agreement before deciding to undertake legal proceedings which involves submitting the claim formally with a court. This will involve sending information in detail to a party that you think is to blame. This letter needs to outline the accident circumstances, the injuries you sustained, any losses you have already experienced due to the accident and the reason as to why you think this party is was negligent or at fault. The other party or a representative such as a solicitor or insurance company might then reply by either denying or accepting fault or liability, followed by requesting that you provide additional evidence involving your injuries and your losses. This can include invoices for vehicle repair, evidence that you have been away from work, the costs for your treatment, witness accounts and more. Evidence obtained from an expert that is independent will also be a requirement to quantify and prove your claim. This type of expert evidence may be from specialist medical reports, or an engineer to make an assessment on the damages on each vehicle or an expert in machinery to confirm that the equipment in the workplace was faulty. It is standard that you will be required to pay for each one of these reports upfront in order to progress with your claim. You will need to attach a value in monetary terms for the entire claim and then present this amount to the opposing side. The value needs to include past & future losses and need to compensate you adequately for your suffering, pain as well as loss-of-amenity. This will typically involve going through any evidence of losses you have already experienced, making a calculation on your needs into the future and then studying court guidelines and previous case-laws to put a value on your injuries. If a settlement agreement or admission for the liability is not reached, you will then need to issue the case at the right court. These processes are governed by what is known as the Civil Procedure Rules that outlines various steps, strict deadlines, court forms, and orders that need to be adhered to. This will also come with a number of court fees which you will be liable for upon submission. Before the trial date, all your evidence needs to be prepared and arrange with any experts or witnesses that need to be there on the day. From here you should make a decision on paying either a Barrister to argue the case on your behalf or you can represent yourself. If you achieve a settlement before the trial or after the trial, the other party will be forced to pay you the compensation amount agreed on and reimbursement for any other legitimate expenses such as expert reports or court fees you incurred making a claim in person. However, complications may still arise when the opposing side disputes the validity of any expenses, or when a court awards compensation that is less or equal to the offer which the other party made before it reached trial. If you happen to lose the case that has reached trial, you may be accountable for paying the legal costs and any of their other expenses. What Is A Litigant Person? A person who is litigant is a term awarded to a person who represents themselves in a court room without legal counsel or a Personal Injury Lawyer and argues their own case. The Bar Council that represents the Barristers in Wales and England, created a complete guide about representing yourself in courts that covers various types of civil law matters. Nobody will be able to explain the injuries you have sustained, or the impact is has had in your life better than you. However, this is an opportunity which can expressed in combination with experienced legal representation. You might save a portion of the law fees when you do not hire a lawyer for your claim. Yet saving on these fees that are typically capped at 25% of the compensation should be weighed carefully against risks involved in under-settling the claim or the risk involved in having to pay legal costs should you lose. When you hire a professional Personal Injury Lawyer they are bound by duty to act on your behalf and your very best interests. For this reason, through the No Win No Fee agreements, and after legal-expense insurance, your solicitor will never place you in a situation that you left worse off compared to not making a claim. If you decide to claim on your own and you lose, you lose compensation for the injuries you sustained, and you will probably be in a far worse position financially because you would have paid out for court fees, expert reports and even worse the other parties legal costs. Do you know how to assign the right value to the claim? Do you know what the personal injury is worth? Have you remembered to calculate treatment costs that are ongoing, loss-of-earnings into the future, a lost gym-membership, the costs involved with family members having to take time off work to care for you or take you to appointments, etc. Trying to deal with your own claim might save you a bit on your legal fees, yet if you are then under-settled grossly, was it really worth it to do this on your own? When deciding to take on your own personal injury claim, you need to deal with insurance companies as well as the defendant’s solicitor that will fight hard to prove the innocence of their client and that they are not responsible for your injuries. Or they will try their hardest to ensure your settlement amount is as low as possible. This is never a playing field that is level. When you instruct a specialist for legal representation, you give the claim a much better chance to achieve success. Your solicitor has the skills and experience to counter the arguments of the defendant, case law or tactics which they will probably present. Event though you are free to deal with your own compensation claim, it is advised strongly to rather find specialised legal advice and then hire an experienced Personal Injury Lawyer who will fight for fair compensation for you. The initial advice that you receive comes with no obligations, and if the lawyers thinks you have a case, you can pursue the claim risk free with a No Win No Fee arrangement. When the barrister is called to the Bar, they will be known as a junior. They will remain a junior until they have been made a Queen’s Counsel which is also known as taking the silk. A QC will be a senior barrister who has extensive experience in the legal profession and is regarded as having outstanding abilities. The majority of barrister will not become a QC. There are many different areas of law, but if you are looking at the broadest sense of this you can divide it into commercial work and private work. A commercial solicitor will be the professional that looks into a major loan by a bank to a corporation, but a private solicitor could be a personal injury lawyer. The different legal practice areas will be the same as different jobs as there is little which links the daily activities of a human rights solicitor with that of a corporate lawyer. A cooperate or commercial solicitor will advise businesses of all size from international corporations to small one person businesses. General company law may require solicitors to advise the company directors on rights and responsibilities. Corporate law will generally relate to mergers and acquisitions, joint ventures, demergers and share issues. Criminal lawyers will advise and represent clients in court who have been charged with a crime. This could be anything from a minor motoring misdemeanour to a serious crime such as murder. Barristers will generally be called on to act for either the defence or the prosecution. When working as a solicitor in this area of law, you will generally work on disputes which end up in the employment tribunals or in the High Court. You will also work on draft contracts of employment and the advisement of working hours. Your clients could be an employee or an employer. When working as a barrister in this legal area, you will appear on behalf of your client in either court or the employment tribunal. Family lawyers will work on every legal matter which is related to marriage from separation to divorce to the legal issues which are related to children. Family matters will generally include the negotiation of financial agreements, inheritance issues and prenuptial contracts. This area of the law is very wide-ranging and will include asylum cases as well as immigration, privacy cases and international law issues. The clients in this area of law will range from low-income refugees and prisoners to large news organisations and governments. This area of law will protect the exploitation of intellectual ideas through trademarks, patents and copyright. IP lawyers will advise on issues such as infringement disputes and commercial exploitation. They will also deal with an agreement which deals with IP rights as part of a larger commercial transaction. Private client layers will advise people on their financial affairs including inheritance tax planning, setting up trusts and capital gains tax. Private client lawyers will also handle a wide range of charity work. Public law will cover the relationship between the government and people. This could mean that you have to challenge the level of care provided to a disabled person or advice the government on national infrastructure development.